What are the best hot rollers for short hair? How to use hot rollers for short hair? Are hot rollers bad for your hair? Many people think that short hair is easy to maintain because there is less hair to dry, less hair to comb and so on. Yes, that may be true, but finding good equipment, like a set of high-quality hot rollers for short hair, can be an issue. Short hair is ideal for curls since they bounce and can be made in various sizes and styles, but creating them is an issue when you don’t have hot rollers. We’ll talk a bit about them and show you some of the top-selling rollers that you can get to get a great, bouncy hairstyle. So, we will go the first on the best hot rollers for short hair, then we will go on some guide. If you want to skip the part with the best-rated models click here. It isn’t that hard to choose a brand of hot rollers since they are all pretty similar, but there are some key things that you should know when you are checking these out. Of course, you need to know that they are safe technology-wise. Tourmaline and ionic technology are those that many people like to go for and you should also check them out. Quantity is really important. Although most people think that 10 rollers in more than enough, we know from reading the reviews of many women with thick hair that you may want to go for at least 12. Making smaller sections helps you get better curls. Conair is one of those companies that you must have heard about when it comes to hair care. They make all different types of products and are always devoted to various technologies that will keep you safe and sound. These hair rollers are great for creating beautiful, elegant, big waves! Those with short hair can use it as well as those with long hair since they are not too big and can be wrapped around properly. However, if you have a bob, you may want to check other products on the list. The 6 large rollers come with 6 jumbo rollers and these are great for making big curls. You get 12 butterfly clips as well as 12 metal clips. You won’t get any frizzy parts or hot spots, so don’t worry. These rollers have a ceramic core and work on ionic technology, which means that you get maximum effect for minimal power-input. The infrared heat makes sure that your hair is evenly dry and curled. The 3-minute heat up time is enough for these rollers to reach up to 127°F. If you are searching for a premium-looking set that would make a great gift for your wife, daughter or friend, we are sure that this one may be worth an extra look. Calista is a popular brand used at many professional salons and this set, just like their other products, is made to work on healthy ionic technology which keeps the hair hydrated. In this set, you are getting 12 rollers and they are made in two different sizes. The dot at the top of these rollers tells you when each one is ready to be applied. The black dot is for cold, red for low and white for high. You are also getting 12 butterfly clips to secure each and every roller once you put it in your hair. This makes a great beginner-friendly help! You can adjust the settings: the base works on low and high heat, depending on your hair’s texture and damage. A premium-looking, soft travel bag is a great thing not only for decor but also for convenience. Remington itself is a company you can believe without much thinking. They spend a lot of time trying to implement the feedback of their users into their new updates and that’s one of the reasons why it is in the top-selling hair brands for curling rollers for short hair too. These have a wax core which will help you get those effortless curls quick. The base works on 120 Volts and 60 Hz so you may want to keep that in mind in case you were traveling or you need an adapter. Curling rollers for short hair need to be small enough to fit and these have three sizes which are color-coded, as well as the clips. You will see that the ionic technology will help you with the frizzy feel and that your hair will become shinier over time. You will also get j-clips for better hold and less creasing. Keep in mind that those with thick hair may need more than 20 velvety rollers, but it all depends on the size of the sections you are making. Ceramic-infused technology is one of the most popular ways to achieve a hairstyle with a specific tool while still maintaining the healthy look and feel. Your hair will stay shiny and your curls will last long, so no worries about that. You get 12 ceramic flocked rollers to use and they are in jumbo and super jumbo sizes. For short hair, this means that they will create really big waves, rather than locks, and are used to create volume and make the hair seem fuller and healthier. You get 4 super jumbo rollers and 8 jumbo rollers. Super clips are a bonus that is included and they help you secure the placement of a roller once you roll it up your hair. The heat up lasts 85 seconds only, which is a really fascinating time! No worries about your hair becoming dry, the ionic technology will maintain a silky look and you will have the most beautiful curls. Something that is quite rare is getting an instruction booklet. You can master the skill pretty easily thanks to it. Not only is this set one of the most beautiful ones on the list, but it’s also really great in helping you achieve your wonderful curls and waves. You will now have no issues with creating wonderful hairstyles on any lengths and on any hair types. You will get 20 multi-size rollers, which helps you make the experience personal. You can combine the sizes: you get 8 small ones, 6 medium ones and 6 large ones. The stainless steel clips you get, which help you secure the hair roller, are color-coded so you can easily differentiate them. Everything can be stored inside the base and the rollers itself are made to grip the hair quicker, so beginners don’t have much trouble with the hair slipping off. The base also has a red light which tells you if the heating process is done. They do take a bit more than 10 minutes to get completely hot, which may be irritating to some people, but they do a great job once they are good to go. This product right here is one of Amazon’s Choices, and you will soon find out why. You must have heard of BaBylissPRO, one of the oldest companies in this business. They have created this wonderful set of 20 rollers which are made from titanium! They are also made with ceramic and they work on infrared technology which makes sure to heat your hair without causing any damage whatsoever. There are 3 different sizes, so you can personalize the experience. People love the fact that the base has an on/off button, unlike many other ones, because it can stay plugged in even when it is not used. Heating them up takes about 10 minutes because some of them are a bit larger, and it is a good choice to apply hairspray after. They come with clips and a premium-looking base, which may be important for some that like to keep the rollers safe and sound. This product is one of the most popular ones out there and it has a bunch of reviews with people sharing their great experiences. Its popularity lies behind the fact that the curls that are created can be of different sizes and volumes, thanks to the different roller sizes. You have 12 temperature settings, which is something not a lot of heat rollers has. A lot of companies decide to go for a simple “on/off” feature only, which can be trouble for some that have sensitive/thin hair. The ionic generator will reduce the frizz created with heat and you will be left with shiny, silky hair. No damage will happen since the technology penetrates into the hair, it doesn’t dry it from the outside. You will get small, medium and large rollers along with plastic clips, 20 rollers and 20 clips, to be precise. Only 2 minutes is needed for this set to heat up and the base has a retractable cord which is a big plus for those who have kids and pets and want to keep their apartment safe. Remington is pretty good at creating products that don’t damage the hair, and most of their creations can be used in professional salons too. These rollers work on ionic and ceramic technology as well, which means that you will have no frizzy issues and your hair will retain the moisture it has. In this set, you get 10 rollers in 2 sizes: 5 large and 5 medium ones. This is great for those who want to find the best hot rollers for short fine hair, since they don’t need too many rollers. Those with thick hair shouldn’t ask for much when using these. You also get j-clips that will hold your rollers and make creasing less noticeable. Something really useful with this base is that it works on all voltages and you can travel with the set. Only 90 seconds is enough to heat the setup and the ends are cool to the touch all of the time, so you don’t have to worry about burning yourself while doing your hair. This is a great set of hair rollers for short hair used by business women all around the world. Women like this travel a lot and they want to make themselves visually attractive and fierce to look professional in their meetings. This set works great for that since it has only 5 jumbo hair rollers which help you get that volume, those big waves. You also get clips which help you secure the rollers even if you move and walk during the process. As mentioned, this is a “travel product” which means that it works on dual voltage. It protects the hair and you don’t need to worry about hair types. With short hair, you will get a lot of volume with these, and a nice touch-up too, but don’t expect curls: these are too big to create curls on really short hair. The cord is 5-feet long and the heat up time is 2 minutes, as far as numbers go. Curling rollers for short hair usually are not this compact and easy to store, yet you can work with these very easily. Yes, you have heard well, these beautiful, professional rollers work with steam! Steam is one of the best ways to get a curly look fast and safe. Your hair won’t lose any moisture and it will stay undamaged. These foam rollers come in different sizes, and this set is one of the rare ones to have really small hot rollers for short hair. You get 30 rollers altogether: 6 jumbo, 6 large, 6 medium, 6 small and 6 petite ones. 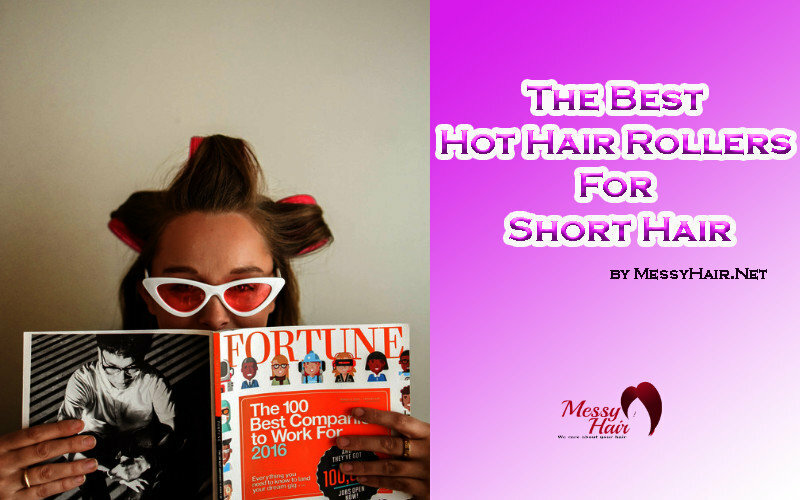 Women are usually really happy with the petite ones, especially women with short hair that need these for the thinner strands. This set works on 120 V and 60 Hz so keep that in mind if you want to travel or you feel like you will soon need to travel. You will get 3 times the steam with this product compared to other ones! Along with the rollers, you get a carrying case and a styling guide. These rollers are by Revlon, one of the most famous companies in the world when it comes to hair styling products. In their set, you get 10 easy-wrap rollers that create curls and waves. No worries about the damage since there is tourmaline ionic technology which will ensure you smooth, shiny hair without frizzy issues. The base has a dot indicator which turns white when heating is done. This is a great thing because the time of heating may vary depending on the room temperature and similar things. The travel storage bag you get is a great choice for women who move around a lot and like to be ready at all times. Of course, because of that, the set is dual voltage and can be used anywhere in the world. You will have shiny, silky locks in no time with this set. Hot rollers are simply rollers that heat up. They might sound a bit scary to those who haven’t tried them out, but these leave almost no heat damage. You have probably heard about the ideal ways to use them on the TV, since these have been around, but to be honest, they weren’t healthy at all. You are probably wondering how do you use these rollers. Don’t worry, the process is pretty simple. All you have to do is start with smooth and dry hair. You can create some texture and add volume to your hair with a mousse. This is something that many people like to do to get bigger curls. Make a part, a deep side part works best, and section your hair into 2-finger-wide sections. You’ll get the hang of it once you do it. The rollers need to be held vertically and you roll the hair around it, starting from the bottom of the strand. The rollers need to stay in until they cool and, after that, you remove the clip and remove the roller. 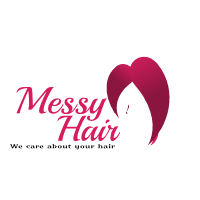 You can mist the hair or put dry shampoo to make it seem even fuller and then lightly run your fingers through it. Don’t use a brush, you’ll ruin the texture. Hot rollers, just like any other type of equipment you use on your hair, can be really great, but can also be a real pain and can do some serious damage. It all depends on the product itself and you need to pay attention to the quality and the characteristics of a product when you are buying one. Hot rollers, as previously mentioned, weren’t healthy before. The technology wasn’t as good and the temperature had to be higher so you could achieve the look you were going for. As science progressed and technology became more advanced, the hair industry also became much more successful. Nowadays, there are tourmaline barrels and ionic barrels that protect your hair and even give it more moisture, since the technology penetrates deep into the follicle. How long do you leave heated rollers in for? This is a very good question. The fact is, each product is very different. You can’t really say that 5-10 minutes is enough since some rollers take more. When you’re buying the rollers, check out the box and what it says, and for online ones, we will tell you about them. The prime goal is to hold them in until they are cool. Hot rollers for short hair are not much different than rollers for long hair. The specifications like the voltage, the quantity and the technology used (tourmaline, ceramic, ionic) seem to be the same. The only difference is that those with short hair should look for smaller models in order to fit them better.